The ruling has not taken effect because it was challenged by the Prosecutor-General's Office. 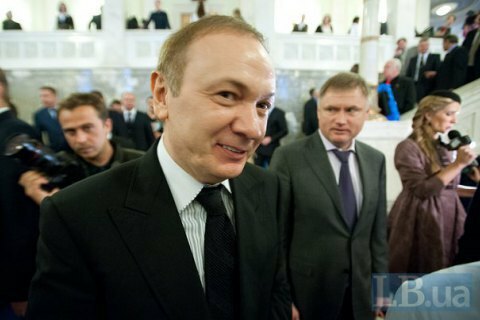 Yuriy Ivanyushchenko, aka Yura Yenakiyivskyy, a former MP from ex-President Viktor Yanukovych's Party of Regions, has made sure that a criminal case against him gets closed, the investigative website Nashi Hroshi has said. On 27 January 2016, the Kiev Solomyanskyy district court upheld a complaint filed by Ivanyushchenko's lawyer and ruled that the 21 February 2015 criminal proceedings should be closed. They concerned the illegal enrichment by 72m Swiss francs and the embezzlement of 170m hryvnyas of public funds received from the sale of greenhouse emission gas quotas to Japan. The court agreed with Ivanyushchenko's defence that the Prosecutor-General's Office had done nothing over the year to collect the evidence of the ex-MP's guilt. According to Nashi Hroshi, he is mentioned in several other criminal cases but not as the main suspect. He is suspected of embezzlement, gross illegal enrichment and securing improper advantage as an official. However, a prosecutor of the Prosecutor-General's Office (PGO), Vladyslav Kutsenko, has told the 112 UA rolling news TV channel by phone that the ruling did not take effect because it was appealed. "The PGO has not closed and is not planning to close the criminal proceedings launched over Mr Ivanyushchenko's illegal activities. What is more he is a suspect and is on an international wanted list," he said. Ivanyushchenko has been wanted since January 2015.